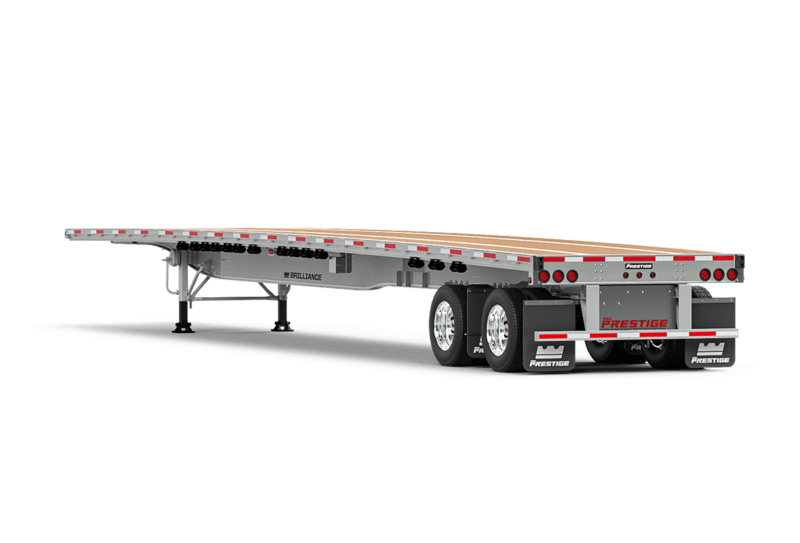 If you’re looking for strength and longevity in a lightweight, low-maintenance platform trailer, look no further than Prestige Trailers’s line of Brilliance all-aluminum flatbeds. 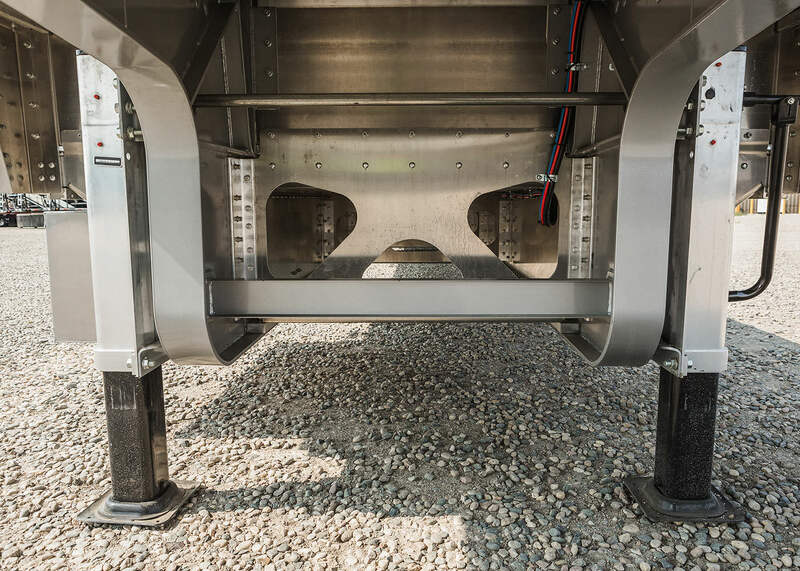 Prestige Trailers aluminum flat deck trailers bring the latest in lightweight trailer design and manufacturing techniques to the open road–all backed by the best name in the industry. 4" aluminum crossmembers are huck-bolted to the top flange extrusion and bolted to the side rail. 12" spacing is standard, with a 16" spacing option available. Coil package option available. Fastened to main rails with aluminum huck bolts. 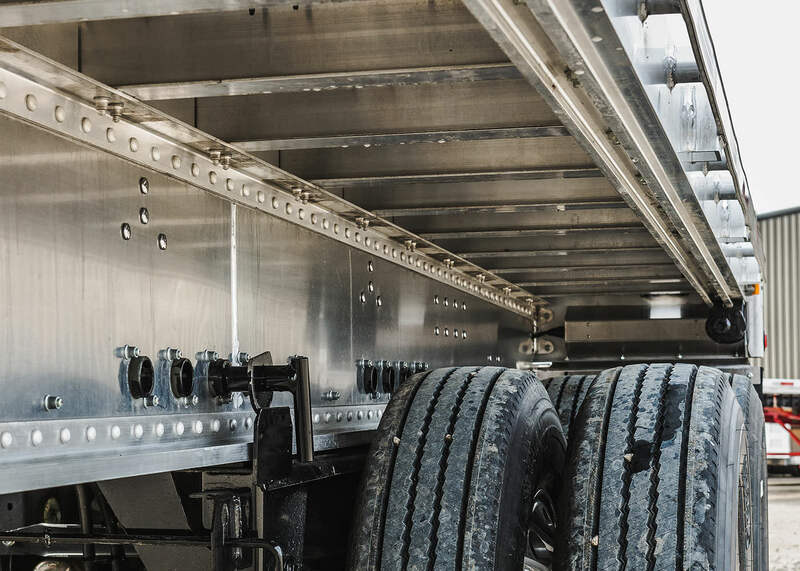 All Prestige Trailers flatbeds, drop decks and B-Trains are designed for strength and longevity, with many different models available to suit your load requirements. Less weight equals more freight.